Listen to “Show No. 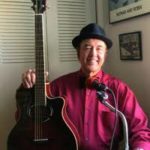 440: Tribute to The Monkees with guest Chuck Harter” on Spreaker. Tribute to The Monkees, Part 1: Ed, Tony and Donna commemorate the passing of Peter Tork with a replay of our April 2018 look at the legacy of The Monkees and their impact on music and television. Joining us is music historian and documentary writer Chuck Harter. Chuck wrote Hey, Hey, We’re The Monkees, the acclaimed Disney Channel documentary for which he interviewed Davy Jones, Micky Dolenz, Peter Tork, Michael Nesmith and other key people behind the Monkees phenomenon. Listen to “Show No. 440: Tribute to The Monkees, Part 2 with guest Chuck Harter” on Spreaker. Tribute to The Monkees, Part 2: Music historian and documentary writer Chuck Harter (Hey, Hey, We’re The Monkees) discusses the phenomenal success of The Monkees television series, the controversy over the use of sessions musicians on the band’s first two albums (and how that led the Monkees to take control over their own music, beginning with the album Headquarters), and how Peter Tork was completely unlike the character he played on the TV series. Listen to “Show No. 440: Tribute to The Monkees, Part 3 with guest Chuck Harter” on Spreaker. Tribute to The Monkees, Part 3: Documentary writer Chuck Harter (Hey, Hey, We’re The Monkees) talks to Tony, Donna and Ed about how the Monkees world tour of 1967 changed the dynamics of The Monkees television series during the show’s second season while also revolutionizing sound systems for live concerts. Listen to “Show No. 440: Tribute to The Monkees, Part 4 with guest Chuck Harter” on Spreaker. Tribute to The Monkees, Part 4: Ed, Tony, Donna and guest Chuck Harter (Hey, Hey, We’re The Monkees) discuss the success of the various Monkees reunion tours after their 1986 comeback and how the death of Davy Jones in 2012 changed the dynamics of the group. Listen to “Show No. 440: Tribute to The Monkees, Part 5 with guest Chuck Harter” on Spreaker. 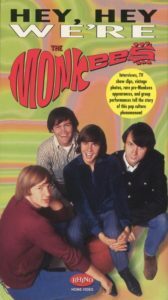 Tribute to The Monkees, Part 5: Ed, Tony, Donna and Chuck Harter discuss the Monkees feature motion picture Head and how the ill-fated NBC special 33 1/3 Revolutions Per Monkee marked the beginning of the end of the group. This entry was posted in Celebrities, Classic Shows, Film Stars, Podcasts, Radio Stations, Television Star and tagged 1966, 33 and 1/3 Revolutions Per Monkee, A Hard Day’s Night, acclaimed documentary, America’s #1 classic television network, Andrew Sandoval, Anson Williams, avant-garde film techniques, Bert Schneider, Best Comedy Series, Bob Rafelson, Bobby Hart, Boy Meets World, breaking the fourth wall, Chip Douglas, Chuck Harter, Colgems, Colpix, Davy Jones, Daydream Believer, Don Kirshner, Don Most, Donna Allen, Door into Summer, Emmy Award, Eric Lefcowitz, erica marie tork, Erin Moran, Frodis, Gilligan's Island, Girl I Knew Somewhere, Glen Campbell, Good Times, Good Times The Monkees, groundbreaking series, hallie luia tork, Harold Bronson, Head, Head 1968, Head movie, Head The Monkees, Headquarters, Headquarters 1967, Headquarters album, Help!, Hey Hey We're The Monkees, I'm a Believer, improvisation, ivan joseph iannoli, Jack Nicholson, James Frawley, Jimi Hendrix, jody babb, jump cuts, Justus, K E Double L O Double Good, Kellogg's Best to You, Kelloggs, Kool-Aid, Last Train to Clarksville, legacy of The Monkees, Listen to the Band, Lorne Michaels, Love American Style, Me-TV, MeTV, Michael Blessing, Michael Nesmith, Mickey Braddock, Micky Dolenz, micky dolenz 2018, micky dolenz net worth, Mike Nesmith, mike nesmith net worth, Missing Links, Missing Links Chuck Taylor, Monkee-mania, Monkeemania, Monkees fans, Monkees Headquarters, Monkees reunion tour, Monkees Tale, Monkees tribute band, MTV, Neal Sabin, Neil Diamond, No. 1 on the Billboard charts, No. 1 show on television, origins 1965, Outstanding Comedy Series 1967, pam tork, Papa Gene's Blues, paramount pictures, Peter Thorkelson, Peter Tork, peter tork 2017, peter tork 2018, peter tork age, peter tork banjo, peter tork dead, peter tork married, peter tork net worth, Peter Tork Rolling Stone, peter tork tattoo, peter tork tour, peter tork wife, Rhino, Rhino Records, Rock and Roll Hall of Fame, Screen Gems, sessions band, sessions musicians, Shades of Gray, Shoe Suede Blues, Sunny Girlfriend, Tapioca Tundra, That Was Then This is Now, The Beatles, The Brady Bunch, The Frodis Caper, The Girl I Knew Somewhere, The Missing Links, The Missing Links Monkees tribute band, The Monkees, The Rolling Stones, Tommy Boyce, tribute to Peter Tork, TV Confidential, Wings, Wrecking Crew, You and I. Bookmark the permalink.